The Celtics ended a disappointing but exhilarating season with a first round loss to the Atlanta Hawks. They just couldn’t get it going offensively to survive. At many times during the series, there was just no rhythm and it was painful to watch. The Celtics head into the offseason with cap room, a plethora of draft picks and a lot of young players that hold great value. Isaiah Thomas is under contact (HASHTAG CHEAP) for two more years and if he becomes the third scoring option on this team then I believe he would be the third best scoring option in the league. He’s silky smooth to the basket and so much pressure would be lifted from his shoulders if he didn’t have to try to score 100 points every game. Bradley and Smart are great defenders. Sully is a double double machine, although he was awful in the playoffs. Crowder is exciting and is fierce on defense and you can tell he cares about his teammates and winning. Celtics fans are tired of waiting. They’re done with being “competitive” and “good enough”. The Sacramento Kings have decided to try and see what they can get for Demarcus Cousins. The Chicago Bulls are rumored to dangle Jimmy Butler. Kevin Durant and Al Horford are free agents. This IS the offseason to make some blockbuster moves. This is the time to strike. There are too many superstars that are available to not get deals done. The Eastern Conference crown is just there for the taking with so many average teams with the potential to be great but never quite reaching that pinnacle. 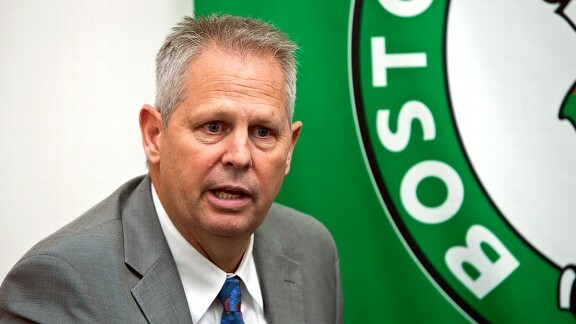 If the Celtics can get two superstars and are able to not trade away too many of their young players, with Brad Stevens at the helm and finally some offensive weapons to utilize the Celtics can be an absolute powerhouse for the next five years.